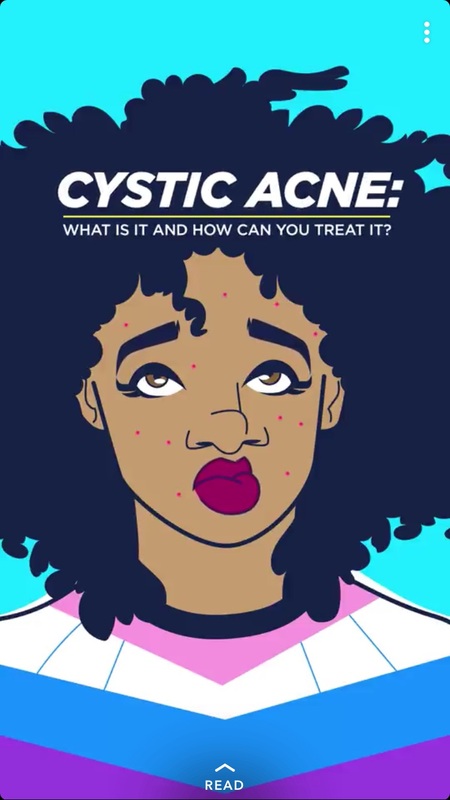 Dr Yadav was recently quoted in ESSENCE Magazine in an educational article about cystic acne. Excerpts below. Acne is the commonest skin disorder in the world. Cysts are balloon like pimples. They may be hard or soft. Cysts are classified as severe acne. If you have bumps and lumps under the skin, that's severe, especially if lesions occur on the body as well. MALE: Males tend to have a more severe degree of acne than females especially in the age group of 13-25. FEMALES: Adult women not just girls going through puberty may find that their cystic acne tends to be concentrated around the jawline & chin, appearing most often just before their monthly cycle. The most important thing to know is that an acne cyst can easily cause permanent scarring (even milder acne does, but cysts are deeper and cause worse scarring) and thus treatment must be early and aggressive. This is not the time to depend on natural home remedies. Cold compresses and hot fomentation of cysts at home may help but see a doctor ASAP and get serious about treatment. If you have a big event coming up, I would like to consider a steroid shot locally to settle the cysts immediately. Medical facials, peels, spot care are all available at JUVERNE for speeding up resolution. Patients with cysts are candidates for oral vitamin A in the form of isotretinoin - to quickly and surely reduce the severity of acne. The treatment must be done after appropriate screening, blood tests and counseling, in addition to and after having tried creams & oral treatments for acne. Isotretinoin works by reducing the inflammation, dead cell build up and sebum production, thus reducing acne severity quickly. Treatment usually consists of one or two tablets (of weight dependent dose) every day, for one to more cycles of 3-4 months. Low dose isotretinoin (5-10 mg) has now found to be effective and well tolerated with the least side effects, hence is popular. This is a strong and effective medicine but one that should never be started or discontinued on your own. Get a doctor to look at you and advise you.